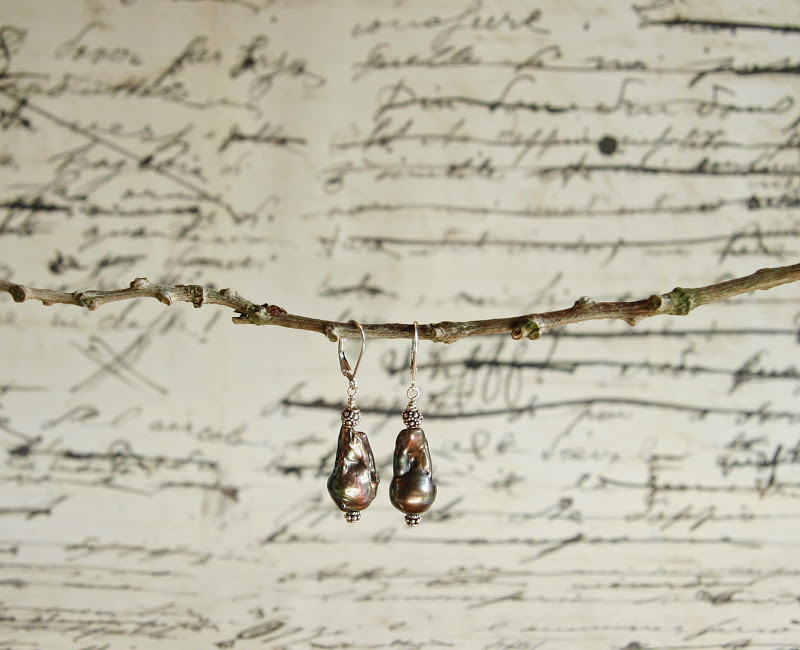 The door prize for the October trunk show was a pair of my classic pearl earrings. 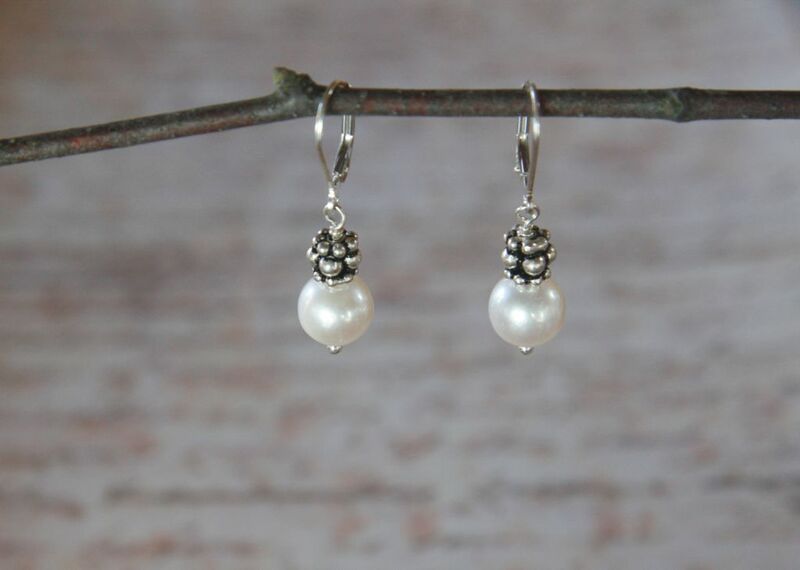 These pearls are everybody’s favourite go-to earring on those mornings when making one more decision seems just too hard. They go with everything, but they have more pizzazz than a stud. I make pearl drops in a variety of shades from classic whites and pale blush pinks to distinctive dark chocolate pearls in unusual shapes. And I have a few customers who have a pair in every colour. They’re probably my single most popular gift item too, since it’s rare to find a woman who never wears pearls.